17.11.2017. 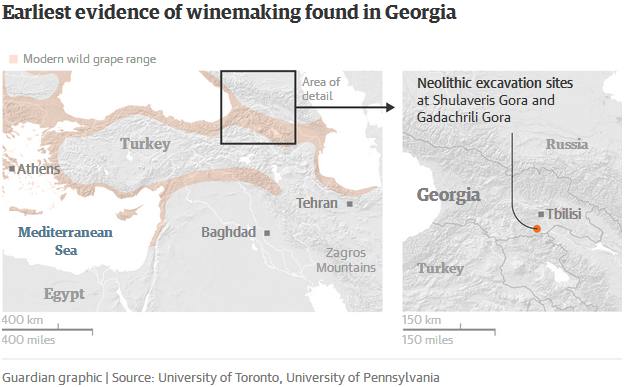 (Hvino News) “Very intensive work has been done by the group of international scientists, and I’m sure everyone is delighted that the research is finalized, and it was acknowledged that the eldest wine was discovered in Georgia. 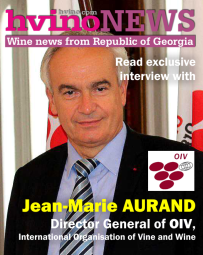 We have a chance to positively introduce our country internationally in this regard, and this gave us the possibility to represent Georgia in the the Center of Wine Civilizations in Bordeaux, ” - Giorgi Kvirikashvili commented on the results of the research, published by National Academy of Sciences of the United States. 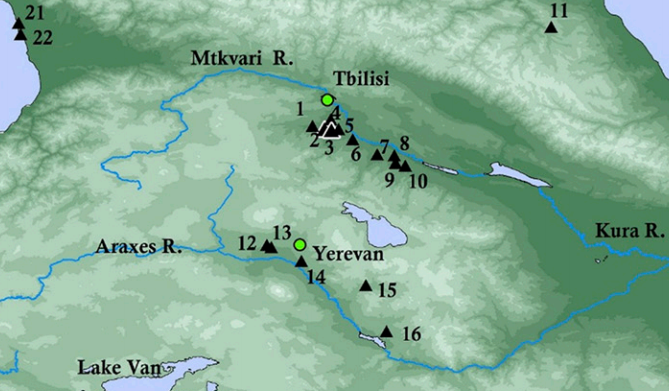 In article 'Early Neolithic wine of Georgia in the South Caucasus' scientists from Georgia, USA, France, Italy, Canada, Denmark and Israel presented multi-disciplinary project findings, stating that the chemical analyses of ancient organic compounds found in pottery fabrics from the sites in Georgia date back to early Neolithic period 6,000-5000 BC, thus being the earliest biomolecular archaeological evidence for grape wine and viniculture from the Near East. 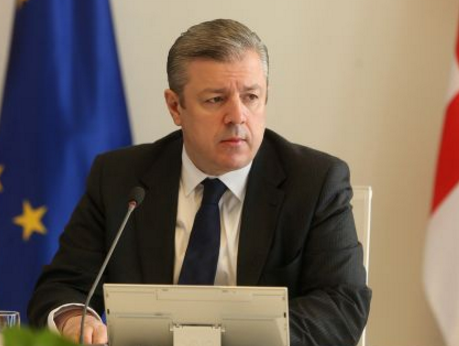 “I’m sure this scientific work will continue, and we’ll discover more interesting facts on wine making traditions and wine in Georgia.” the Prime Minister commented today during the weekly government meeting. 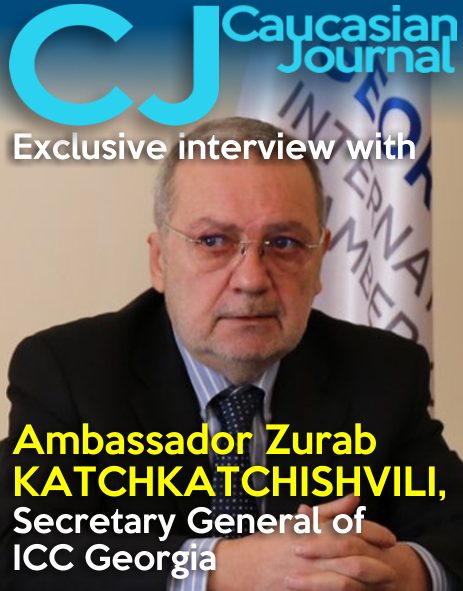 "We are excited and proud, and so is every Georgian and every friend of Georgia. I congratulate all of you!" the Prime Minister stated. 16.11.2017. 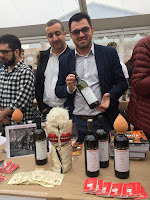 Georgian wine was showcased at five events of fine, natural wines in the United States’ cities of New York and Los Angeles during the past one week, announced the Georgian National Wine Agency. RAW NY, an international exhibition of natural wines in New York and RAW LA in Los Angeles hosted exciting collections of fine, natural, organic and biodynamic wine artisans, including some from Georgia as well. 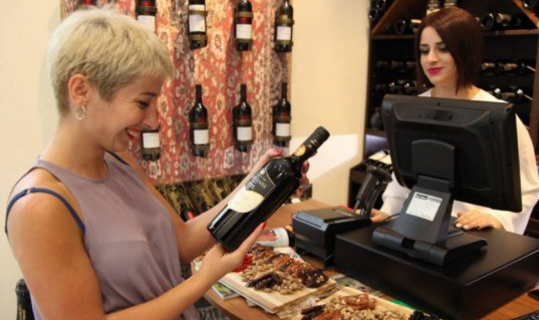 Tamta Kvelaidze of the Georgian National Wine Agency stated that there is growing interest towards Georgian wine in the United States which is also reflected to the wine export statistics. 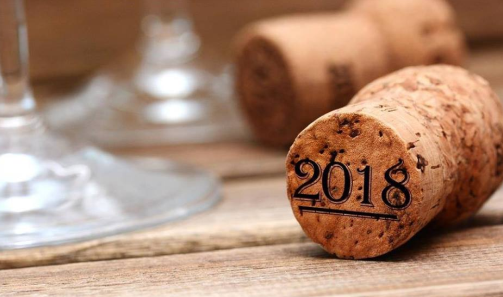 In the first 10 months of 2017 Georgia exported 395,000 bottles of wines to the United States – 68 percent more compared to the same period of 2016. 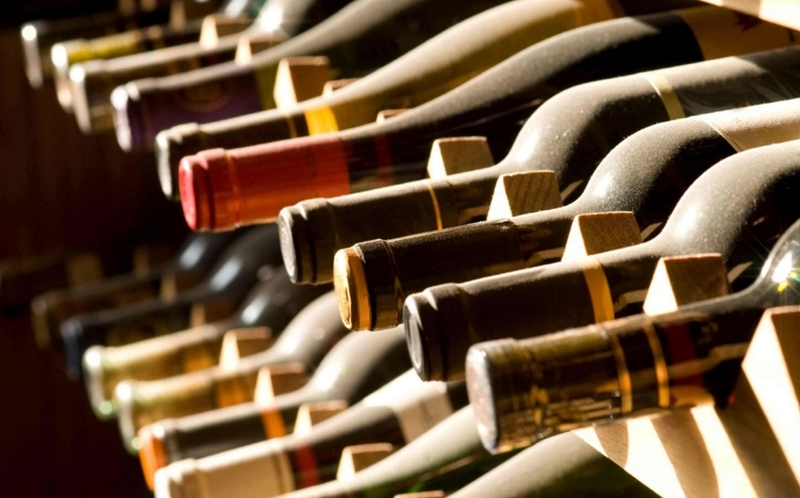 The United States takes the ninth place among the top 50 countries that import Georgian wine. 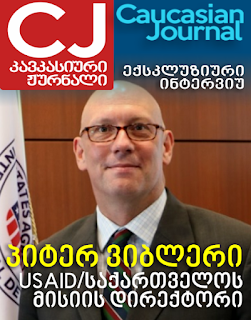 The Georgian National Wine Agency plans to continue active marketing activities in the United States in 2018 as well. 16.11.2017 (Hvino News). 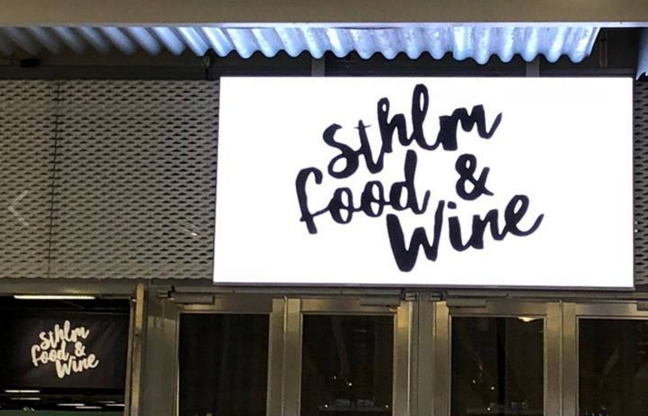 Exhibition "Stockholm Food and Wine" was held at the Scandinavia's largest exhibition center in Stockholm, Sweden on November 9-12. Georgian wine companies participated in the exhibition for the first time. 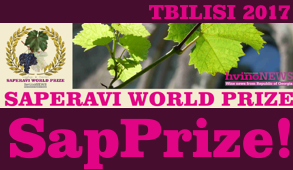 Represented companies are Bagrationi-1882, Kakhetian Traditional Winemaking, Besini, Askaneli Brothers, Shilda, Vaziani, Kakhetian and BG Wines. 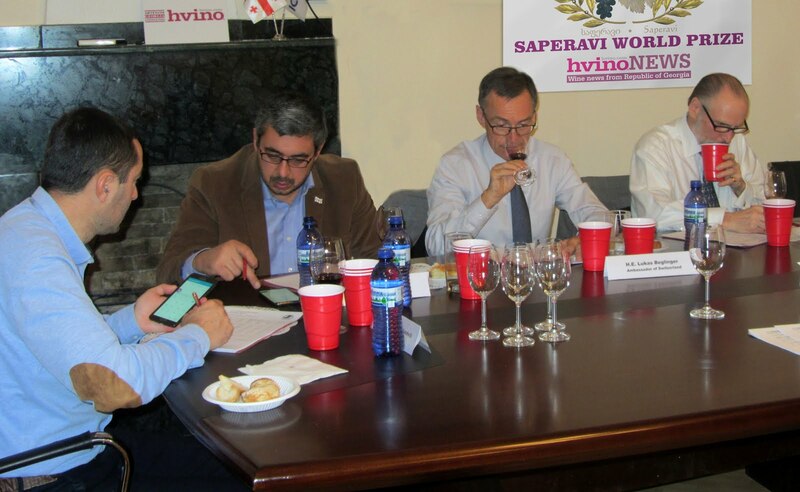 They were represented with assistance of "Georgian Wine for Nordic" company. During the exhibition Georgian wines were displayed in the main bar of the exhibition where local residents, importers, bloggers, wine journalists and sommeliers had the opportunity to taste Georgian wine and learn about Georgia, its wine culture and history. 16.11.2017. 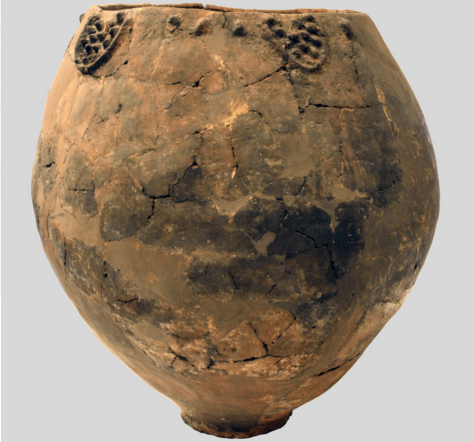 A series of excavations in Georgia has uncovered evidence of the world’s earliest winemaking, in the form of telltale traces within clay pottery dating back to 6,000BC – suggesting that the practice of making grape wine began hundreds of years earlier than previously believed. While there are thousands of cultivars of wine around the world, almost all derive from just one species of grape, with the Eurasian grape the only species ever domesticated. 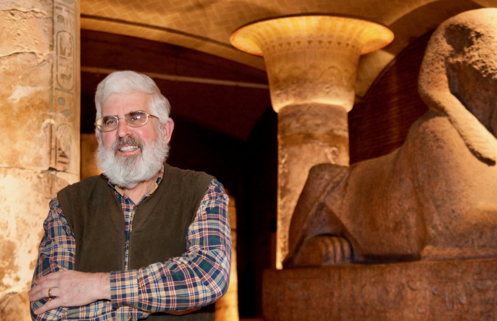 “When we pick up a glass of wine and put it to our lips and taste it we are recapitulating that history that goes back at least 8,000 years,” said Patrick McGovern a co-author of the study from the University of Pennsylvania museum of archaeology and anthropology, who also worked on the earlier Iranian discovery. 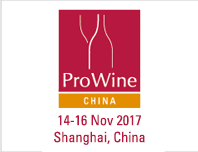 15.11.2017 (Hvino News) A record 33 Georgian wine companies are participating in ProWine China in Shanghai - that's 3 companies more than last year. 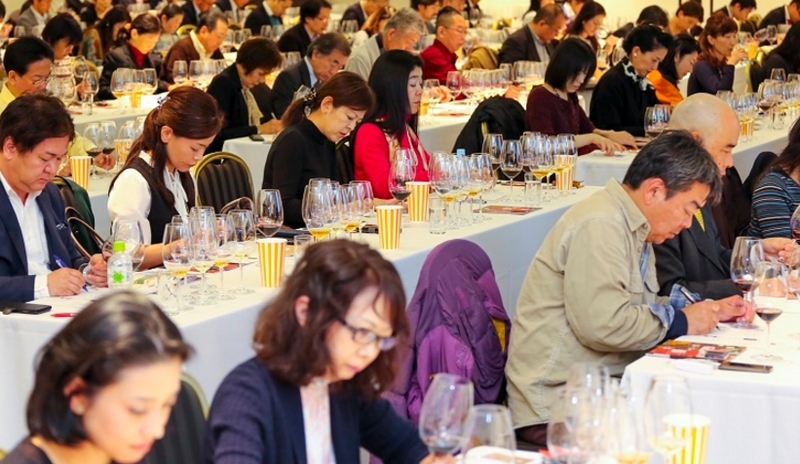 One of largest wine fairs in China is open on 14-16 November in Shanghai's SNIEC exhibition centre. The full list of Georgian companies represented at ProWine China follows below. 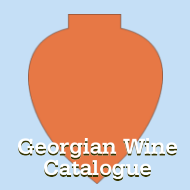 In addition, a Georgian masterclass is featured in ProWine's programme. The seminar called "Guide to Premium Georgian wines" by Debra Meiburg MW is scheduled for November 15 at 1:45pm. 14.11.2017. Raise a glass to Georgia, which could now be the birthplace of wine. The country, which straddles the fertile valleys of the south Caucasus Mountains between Europe and the Middle East, may have been home to the first humans to conquer the common grape, giving rise to chardonnay, cabernet sauvignon and thousands of other reds and whites we enjoy today. 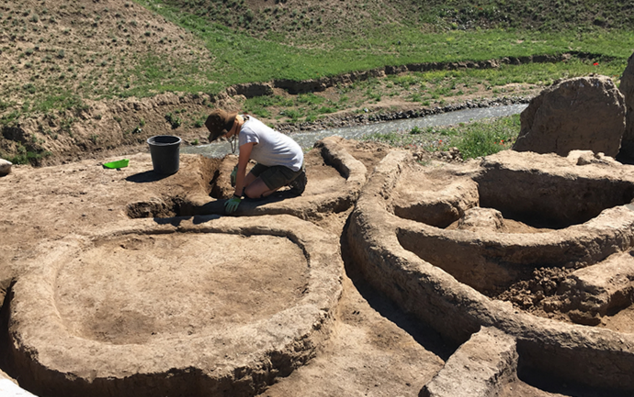 In a study published Monday, researchers found wine residue on pottery shards from two archaeological sites in Georgia dating back to 6,000 B.C. The findings are the earliest evidence so far of wine made from the Eurasian grape, which is used in nearly all wine produced worldwide. 14.11.2017. 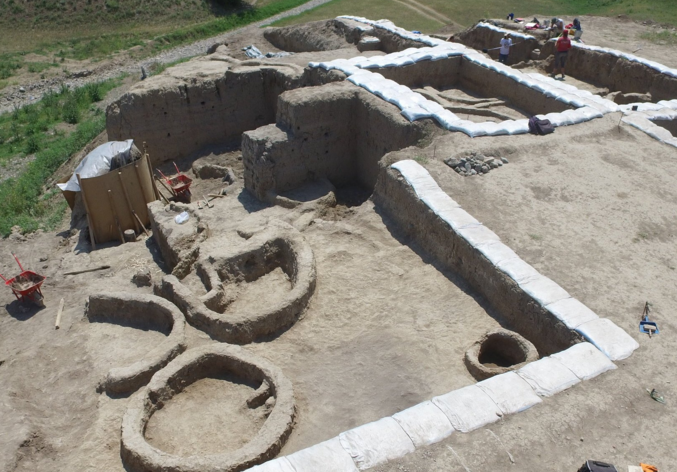 Excavations in the Republic of Georgia by the Gadachrili Gora Regional Archaeological Project Expedition (GRAPE), a joint undertaking between the University of Toronto and the Georgian National Museum, have uncovered evidence of the earliest winemaking anywhere in the world. 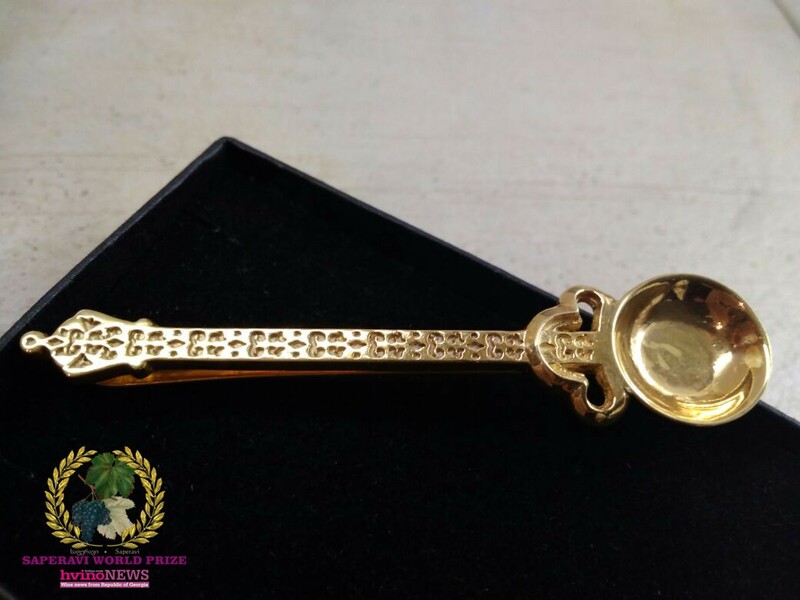 The discovery dates the origin of the practice to the Neolithic period around 6000 BC, pushing it back 600-1,000 years from the previously accepted date. 12.11.2017 (Hvino News). According to official data, Georgia has exported about 61 million bottles of wine between January-October 2017, which is 59 percent more in comparison with the same period last year. 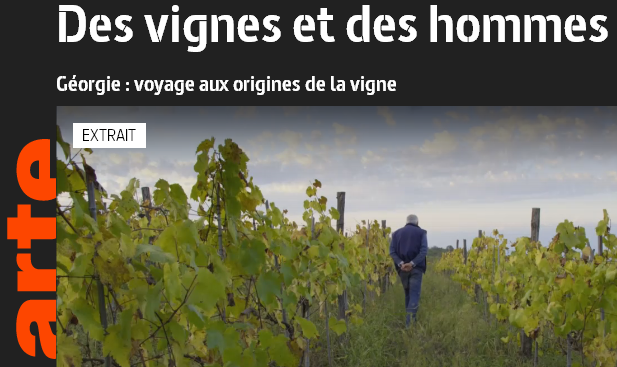 Income from wine export equaled $134,6 million that is 52 percent more than the same period last year,” the National Wine Agency reported. 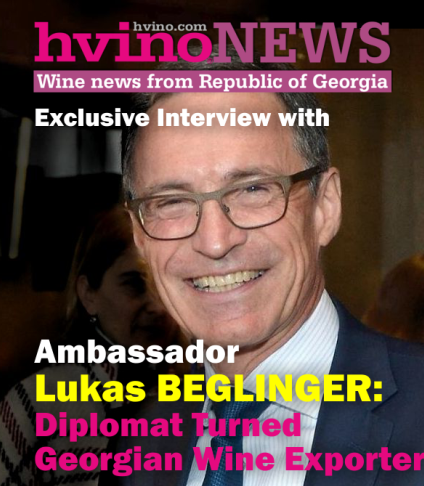 Georgian winemakers again are in the focus of "Napa Valley Register"
07.11.2017 (Hvino News). Napa Valley Register, an American professional wine business resource, has published a new article on Georgian wines. "I first tried wines from the Republic of Georgia more than a year ago and wrote a piece titled “The Weird and Wonderful Wines from the Republic of Georgia.” In that piece, I wrote, “There is so much for us to learn about Georgian wine. We can try to compare Georgian wines to wines we know but they really do not fit into a familiar category. 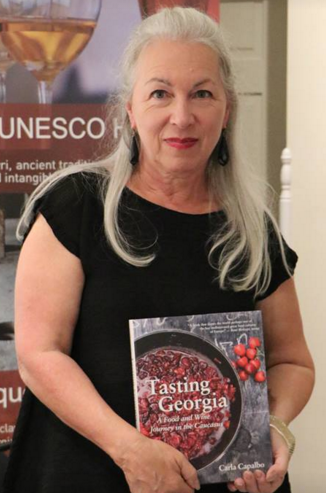 Georgia is a country with indigenous varieties and unique techniques and winemaking styles,” - writes author Allison Levine, who is owner a marketing and event-planning agency. 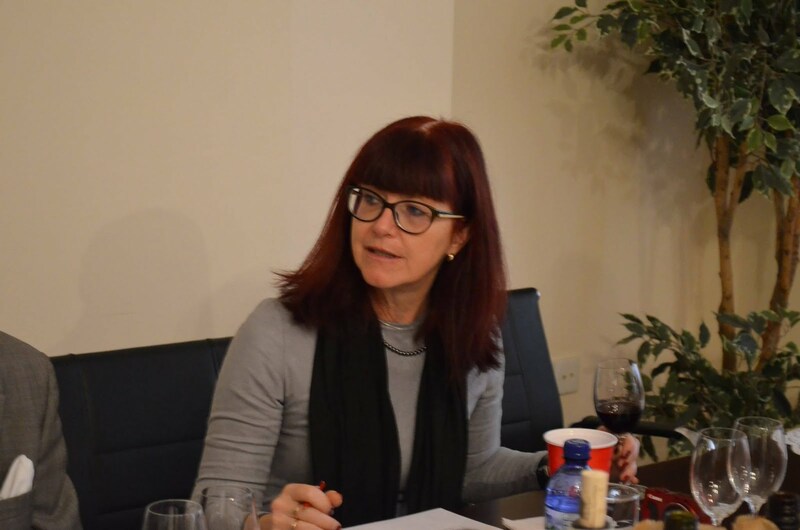 "A year and a half later, I sat down for another seminar on Georgian wines. Wine consultant Taylor Parsons, who led the panel last year after returning from his first trip to Georgia, led the panel again.... 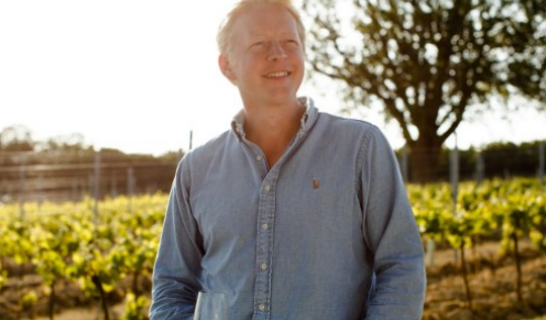 He returned to Georgia again this year, and after his second experience, Parsons said he believes that it is our “obligation to tell the whole wine story” of the Republic of Georgia. The author reviews several favorite wines from the recent tasting, including wines by Archil Guniava, Nikoloz Antadze, Aleksi Tsikhelishvili. Read original article here. 06.11.2017 (Hvino News). Winemaker Gavin Robertson at Niagara College Teaching Winery in USA is using wine technology resembling that of Georgian qvevri to produce "Orange wine" of Sauvignon Blanc. The difference is that instead of millenia-old traditional use of clay, the modern vessels are made of steel. Gavin Robertson says: "At NC Teaching Winery, we produce the majority of our wines using conventional, modern technology and scientific principles... Our buried “orange wine” project will compare the relative simplicity of grapes interacting with microbiology at an appropriate temperature to all of the high tech, sophisticated ways that we achieve consistent, quality products in the modern industry. 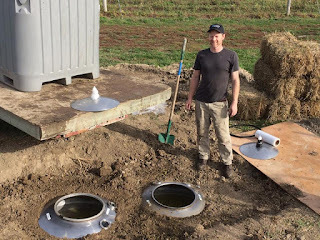 The purpose of the project is to explore the idea, with our students and visitors, of low intervention or "natural" winemaking in a way that hearkens back to ancient winemaking techniques. These techniques were prevalent in Neolithic times in the geographic origins of the wine grape, in the Transcaucasian area between the Black and Caspian seas, in what is now Georgia and Armenia"
01.11.2017. Bank of Georgia announces financing of the Kakhetian Traditional Winery (KTW) project. 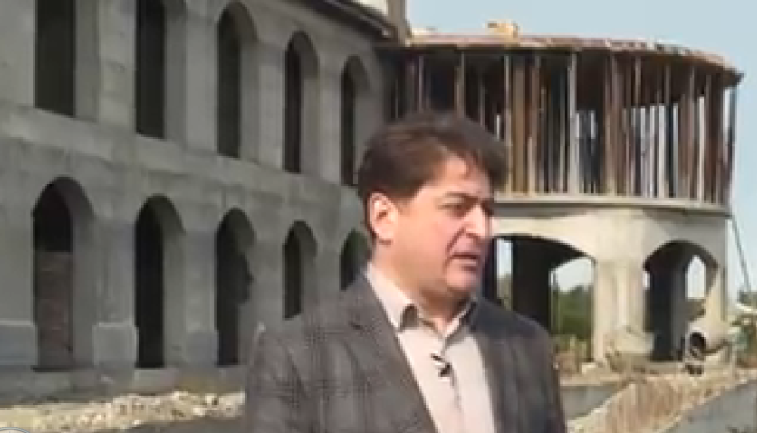 According to the bank, the group will build a 41-room hotel in Akhasheni, Kakheti region. 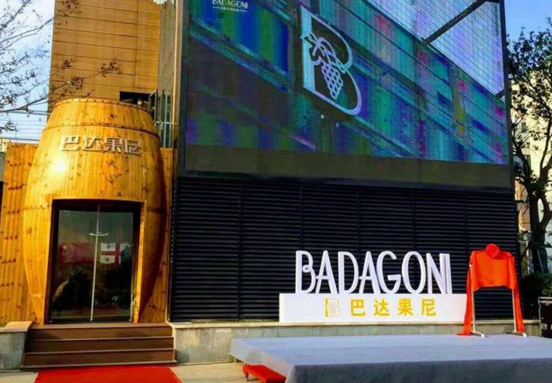 The wine cellar, sampling area, restaurant and swimming pool will be placed at the hotel. The investment portfolio of the project is 2.3 million USD funded by the Bank of Georgia. 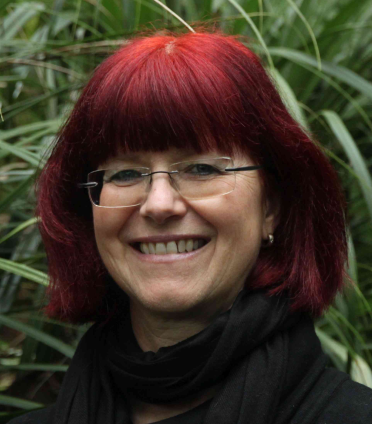 The funding has been issued within frame of the DCFTA project. 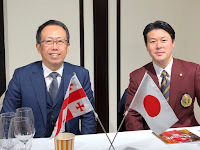 It is noteworthy that cooperation between the KTW Group and the Bank of Georgia has been established since 2014 and as a result of this, wine enterprises were opened in Velistsikhe, Keda and Askana. 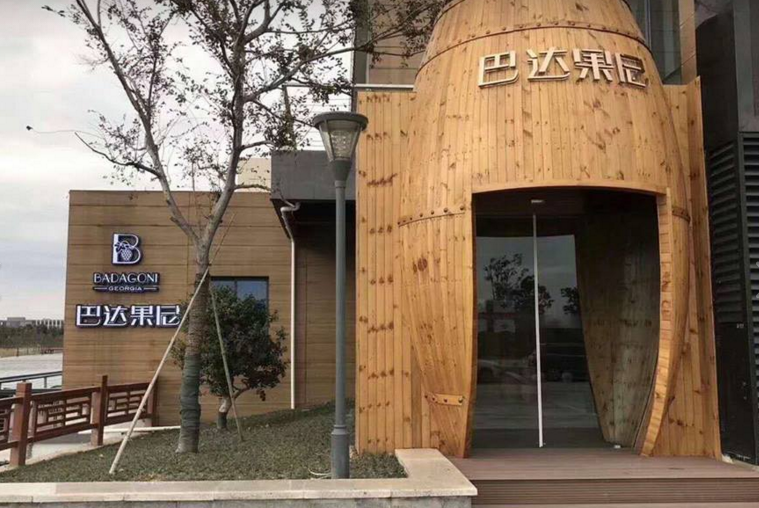 Wine and brandy of KTW Group is sold in 17 countries worldwide. However, 70 percent of the product import from KTW Group production accounts for Ukraine. 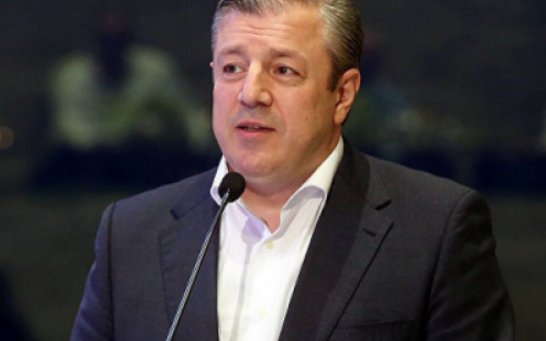 KTW Group has built and equipped one of the biggest spirits industries at the territory of Velistsikhe wine enterprises financed by Bank of Georgia in the Kakheti region. 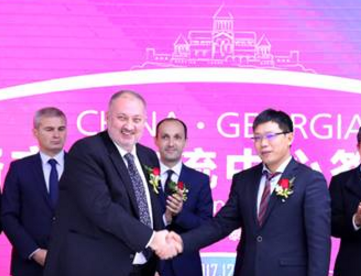 Construction of two fruit processing plants in Keda and Chokhatauri is one of the first partnerships between the Bank of Georgia and the KTW Group. The Bank of Georgia financed the project in 2014, which produces high quality, natural jams and compots under the brand “Nena”.